Building a great looking website used to be a complex task – requiring programming skills, and a lot of hard work (or a lot of money to pay someone that could do it for you). Things are different today, and creating great websites is easier than ever. I'm going to show you how to build an astonishing website for your nutrition business in 5 minutes and for free. No technical skills are required. In fact, you only require some good taste to make sure your new site looks amazing. If you are able to distinguish between what looks good and what doesn't then you are ready to go! If you already have a website, keep this article at reach just in case you want to create a new one in the future. You can also forward this article to any colleague that needs a page. The easiest way to create a nice website for free is using Wordpress. You've probably heard of Wordpress before. It used to be mostly a platform for blogging; but nowadays you can create business and professional pages too. It's been estimated that 12% of all websites in the world are Wordpress sites. For example, if you are a nutritional therapist managing your own practice, a webpage is essential. You can gain more clients, publish interesting articles, and make all your services and pricing accessible to everyone. 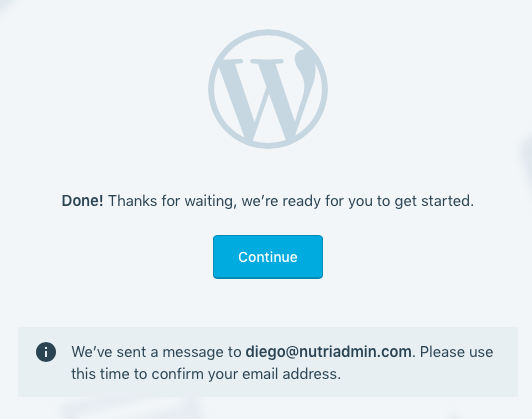 Follow the steps below and you will have your new shiny nutritionist website up in 5 minutes. 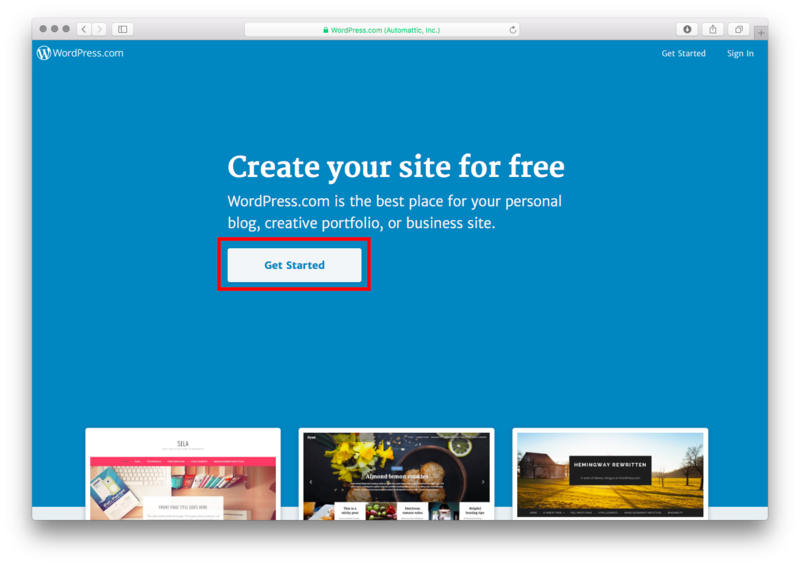 Step 1: Go to wordpress.com and click on Get Started. 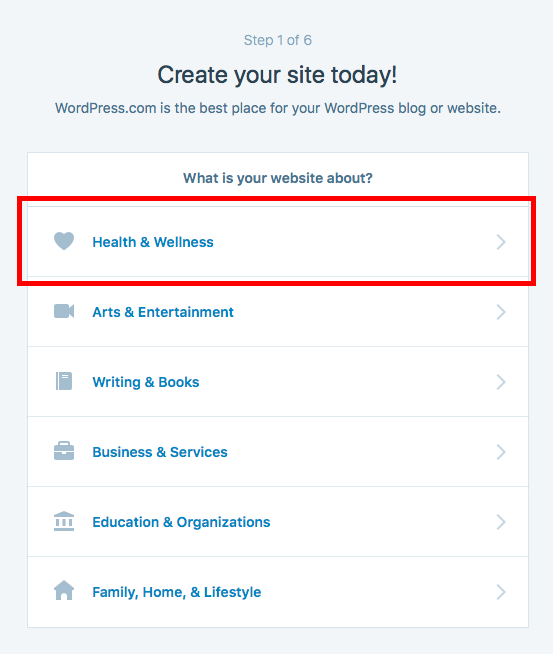 Step 2: Choose Health & Wellness. Step 3: Select Nutrition from the menu. 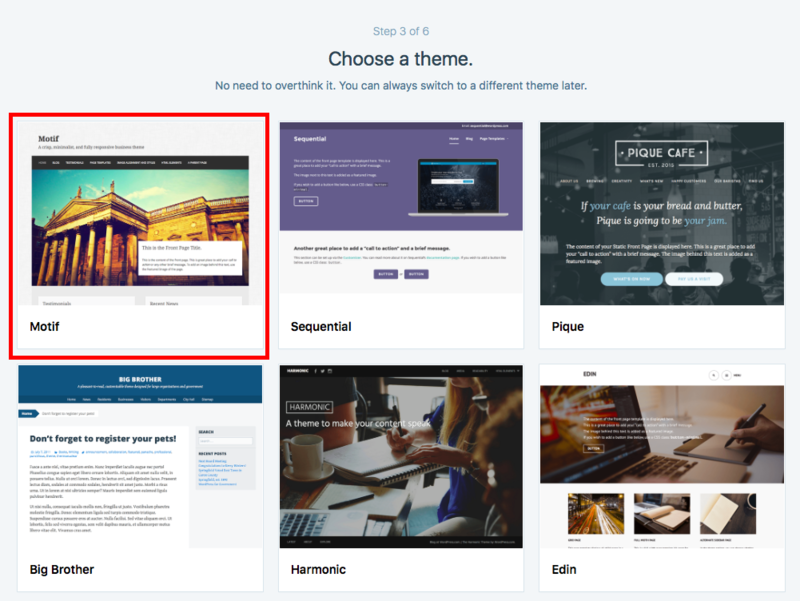 Step 4: Choose your website layout. I recommend the option in the middle for nutritionists, but you can choose anything you like. Step 5: Choose a theme. Focus on the layout of elements in the screen, the fonts, colours, etc. You will be able to change images and text later to suit your needs. Everything is customisable. 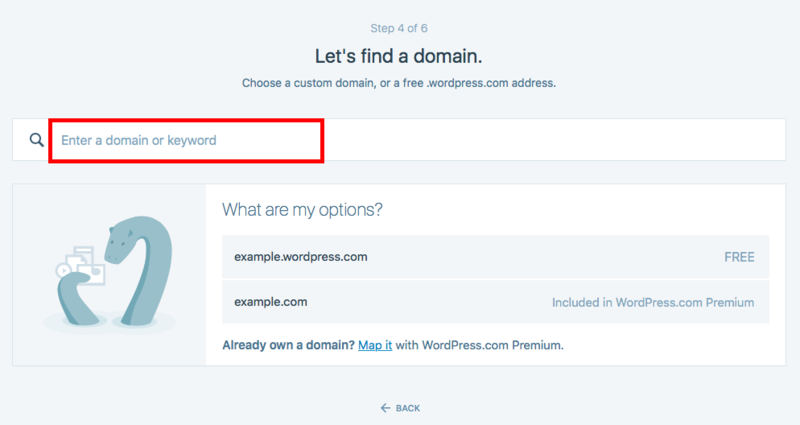 Step 6: Enter your URL – the web address people will have to type to access your website. I recommend you choose something matching your business name, your speciality, etc. Also keep it simple and easy to remember. 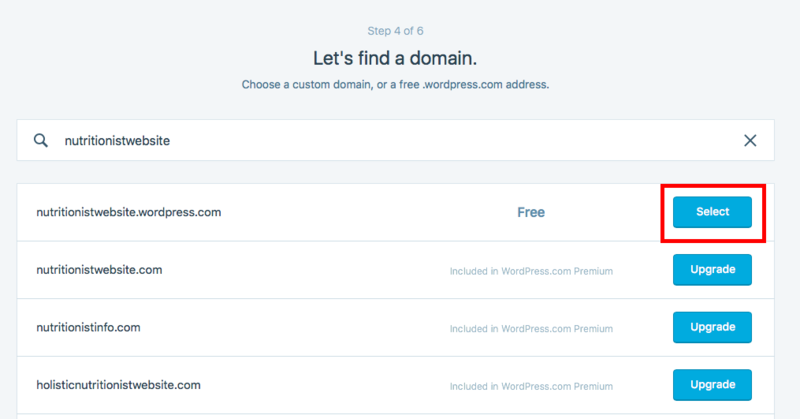 Extra tip: You can have your website for free but your web address will contain the word wordpress. If you want to have a fully customised URL you will have to subscribe for premium services (something around $10 a month). Choose what is best for your situation. Step 8: Choose a plan. 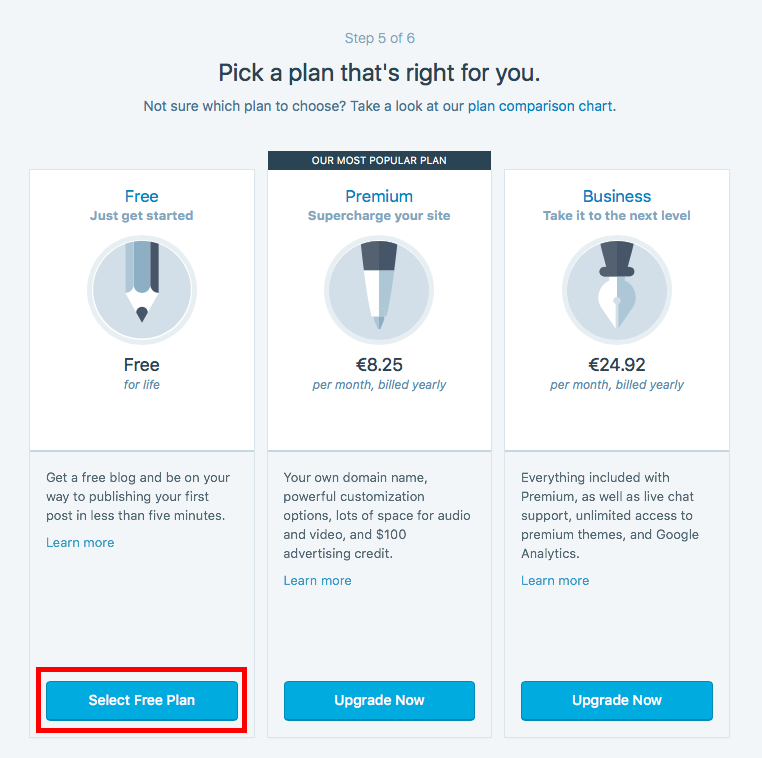 In this example I'm opting for a free plan. Step 10: Wait a few seconds, and click continue. After you confirm your email address, you are done! After the setup phase, you (and the world) will be able to access your new website at the web address you specified in steps 6 & 7. 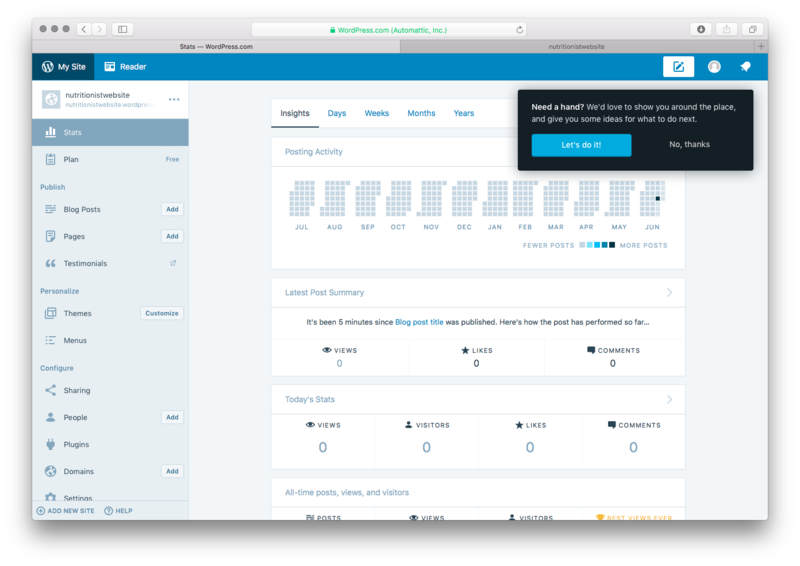 The website will be just a default template, but pretty much any element is customisable. You can click on the Customise button on the bottom of the screen to start making changes. 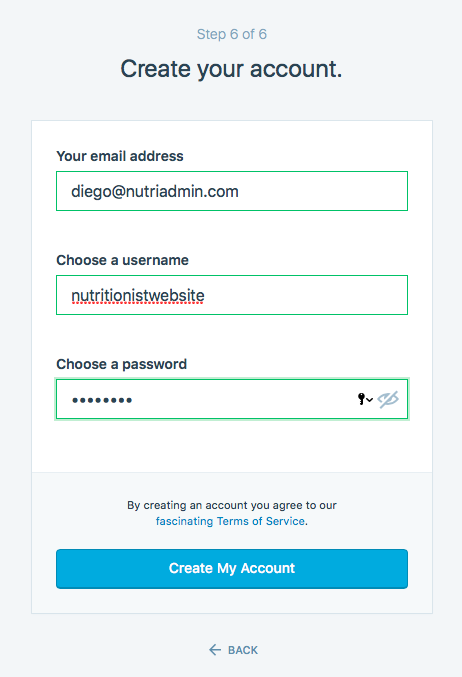 Setting up a free website for your nutrition practice is easy. This solution will admittedly not result in *the perfect website*, but you can get maybe 95% of what you want quickly and without hassle. If you need advanced functionality, such as databases, user accounts, etc; then you will need to work with a developer to build these features. 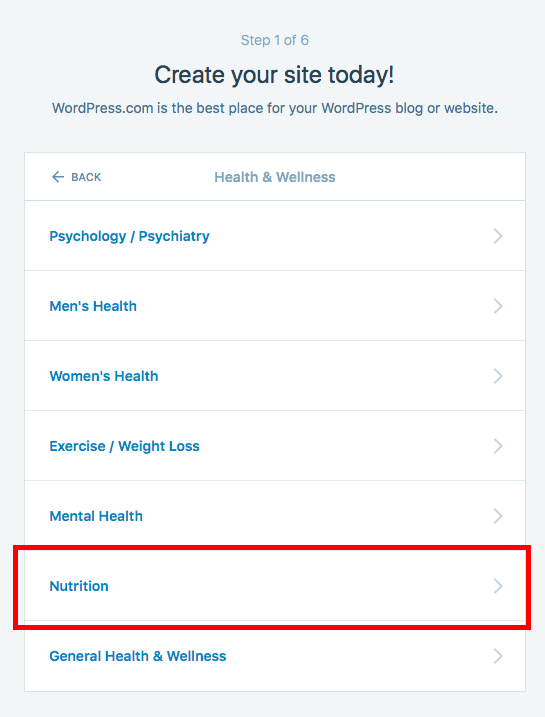 However, many nutritionists will be able to achieve their goals with a wordpress site. If you liked this article and want to stay up-to-date with upcoming posts in this blog, please subscribe in the yellow box below. Please share this article with colleagues that want to create a website. Finally, check our nutritionist software if you want to learn how to effortlessly manage paperwork and the business side of your practice. 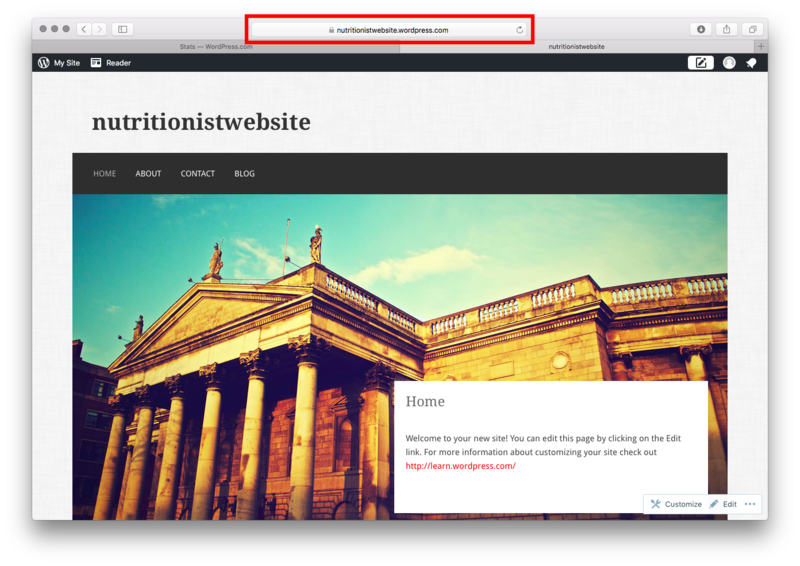 If you want to read the second part of this article, check out how to customise your website for nutritionists and dietitians.